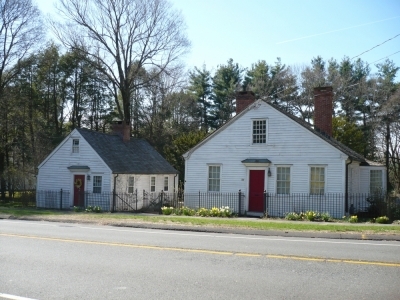 One of those responsible for bringing the Mendi to Farmington, Williams gave a piece of his land on which townspeople built a dormitory for the men and boys. Later remodeled as a carriage house (the yellow building to the left in my picture), the building still shows dormitory space, Sengbe’s private room, and back-to-back privies. An addition to the rear served the Underground Railroad; a trap door to a heavily baffled basement still exists. Sure my picture stinks, but at least you know it’s my picture. Note: The stone post in the foreground stands at most of the sites here in Farmington. After Emancipation, Williams used this part of the building as his employment office for freed blacks. Williams kept meticulous records of his expenditures and activities, and wrote frequent letters about the Mendi to friends and business associates in New York. Built in 1839 by John Treadwell Norton, who became a major supporter of the Amistad Africans. 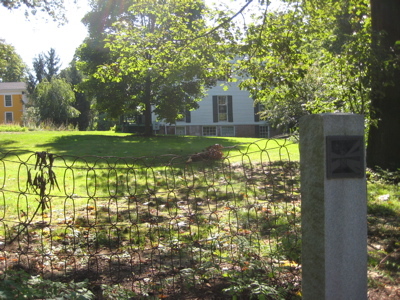 John Treadwell Norton, a prosperous businessman and “gentleman farmer” who had the Georgian-style mansion built for him, may also have been a stationmaster on the Underground Railroad. Norton, an internationally known abolitionist, was one of the founders of the Farmington Anti-Slavery Society in 1836. 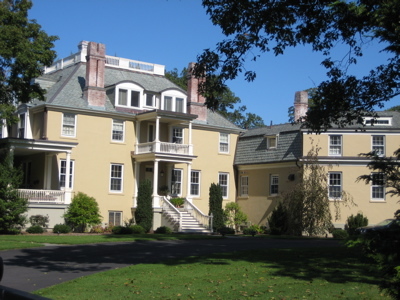 It is currently used as a conference center and bed and breakfast by the University of Connecticut. Cool lady. So yeah, this is a private home now, so admire it from Mountain Road only. The Mendi often traveled on the Farmington Canal to make appearances throughout the region to raise money for their voyage back to Sierra Leone. In this spot, one of the Amistad Africans, Foone, lost his life – apparently a suicide – while swimming in the Pitkin Basin in front of the Canal House. A shallow turnaround and storage area for boats, the Basin was also the village swimming hole. It’s now a paved parking lot. 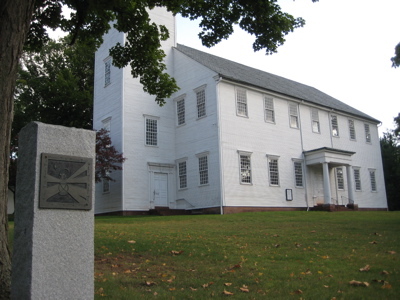 One of the oldest churches in Northern Connecticut, the structure is also a National Historic Landmark. 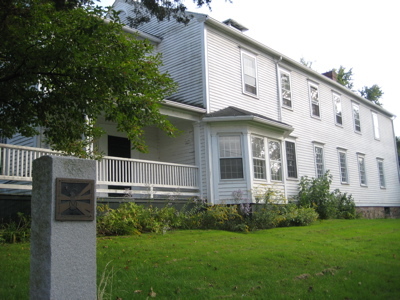 Church members were active supporters of the Amistad Africans, providing them with housing, clothing and education while they lived in Farmington. Their minister, Reverend Noah Porter, supported the abolitionist cause. Upon their arrival in town, the newly-freed Mendi were introduced in the church. They attended weekly services here. Just prior to their return to Africa, their leader, Sengbe Pieh, delivered a moving address in his native language. It’s a very New Englandy church, right in the heart of bucolic Main Street Farmington. Later, church members supported efforts by the Rev. JC Pennington, a freed slave who became a minister, to educate Hartford’s African Americans. Pennington preached here on occasion, exchanging pulpits with Porter. Minister of the First Church of Christ from 1806 to 1866, Reverend Noah Porter was a strong believer in abolition and education. He held to his convictions and sermonized about them from his pulpit despite opposition from vocal anti-abolitionist factions in his church. Several of the Porter’s seven children devoted their lives to education, as well. Their oldest daughter, Sarah, founded Miss Porter’s School in 1843 and their son, Noah, became president of Yale College. Oh, and Miss Porter’s boarding school today costs almost nearly $60,000 a year to attend. The Mendi would be… I don’t know. I don’t think they could compute that. The American Board of Foreign Missions was founded here in 1810. The first missionaries would be sent overseas in 1812. In 1841, Margru, one of the three girls who survived from the Amistad, lived in the Porter House for eight months. Sarah Porter continued to live in the house after her father’s death in 1866, adding the third floor in the 1880s. Historic cemetery with many 18th and 19th century graves. 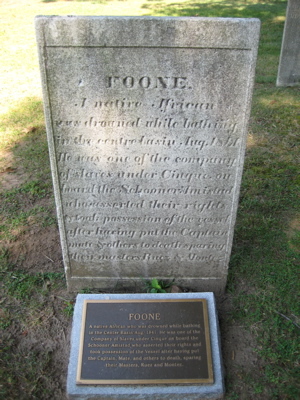 Of particular interest are the Indian obelisk – monument, and the grave of Foone, one of the Amistad Africans. He died during their trial and stay in Farmington. 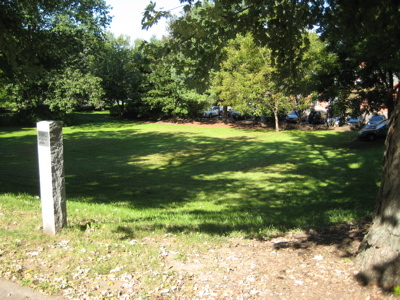 The cemetery sits along the historic Farmington Canal. Off in the near distance, the fertile fields that were once worked by the Amistad former slaves can be seen. I thought that to be pretty cool. I bought some sunflower seeds here, but more importantly, picked up a couple helpful Amistad Trail and Freedom Trail brochures. 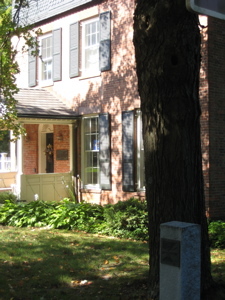 Now the Farmington Art Guild, this building was once the site of frequent meetings of both abolitionists and anti-abolitionists. Its upper floor was rented to both groups back in the day. It’s now owned by the very similar looking First Church of Christ above. Some kids across the street heckled me for taking this picture for some reason. Here’s the funny thing – this isn’t a museum. 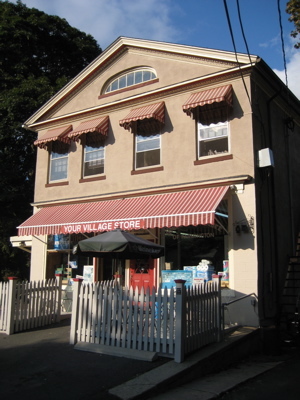 You can’t just go visit the charming little building on Main Street and poke around. But, in a sort of ironic way, these are the folks most responsible for putting most of the Farmington/Amistad information together in neat little brochures – the brochures that go me started on this crazy Amistad/Freedom Trail thing. So I’m happy they’ve been added to the Trail in early 2011. They deserve to be, that’s for sure… As I think they are the only entity that offers actual guided tours of any Amistad/Freedom Trail sites. I haven’t taked a tour, but I’ve spent some time in their parking lot figuring out addresses in historic Farmington. That counts. I’ve driven by the Chauncey Brown House countless times. Heck, I’ll wager you’ve sat in traffic, inching past it, at least once or twice. For it is located on route 4, near the route 10 intersection. The area has been a mess for my entire Connecticut life. At least now you’ll have something to tell your antsy family while crawling along. While awaiting the verdict of the Supreme Court for the Amistad Affair in 1841, the Amistad Committee made plans to send the Amistad captives from New Haven to Farmington upon their release. The girls, Temme, Kagne and Margru, were to be housed with the families of Horace Cowles, Timothy Cowles and the Reverend Mr. Noah Porter. Horace Cowles died in February, 1841, prior to the arrival of the group in Farmington. 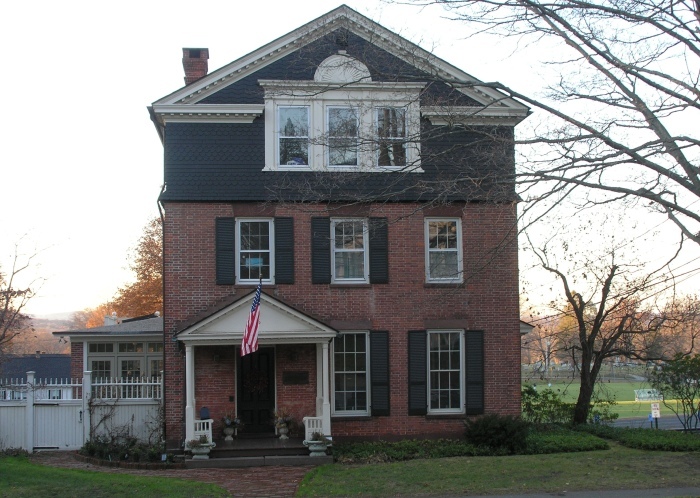 Temme arrived at the home of his widow, Elizabeth Hurlburt Cowles, on March 19, 1841. 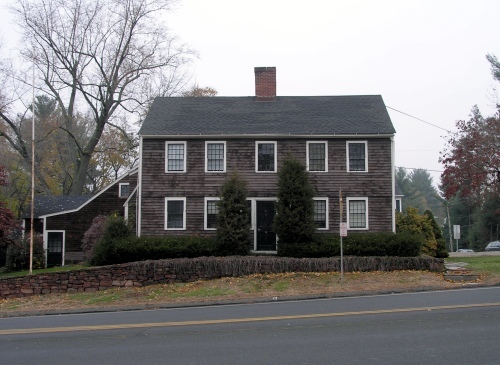 The Widow Cowles moved to West Hartford and Temme went to the home of Dr. Chauncey Brown, where she lived for most of her stay in Farmington. I am from Sierra Leone and lived with my family in Manchester, CT and work in Hartford. I would like my family and I to be part of this great history. My wife and I work for the Hartford Public library and would like to let the Amistad connection in Connecticut be a yearly celebration in the library. This is a great part of history and should be pass on to generations with us being part of such great history. For reference please contact Mr.Nate Vereen, Student Life-HBCU, Claflin University. I lived in Farmington, Ct. from 1958 until 1985, (27 years). I miss it there, but where I lived, is built up with businesses, now. Our family lived on Farmington Ave (rt.4), one mile west of Farmington center. What a wonderful web site this is! On Sunday, April 27, 2014 at 2:00 pm a performance will be held at the First Church of Christ Congregational, 75 Main Street, Farmington, Connecticut. The performance is a dramatic reading of Julius Lester’s award winning book, Day of Tears. It is the story, told from each character’s point of view, of a time in Savannah, GA when, over a period of three days, over four hundred people were sold. It was the largest slave auction in the history of our country. I am writing a brief history to the story and believe it would be especially interesting for members of the audience to be aware of the Town of Farmington’s Freedom Trail that marks their stay there of those men and women involved in the Amistad trial. 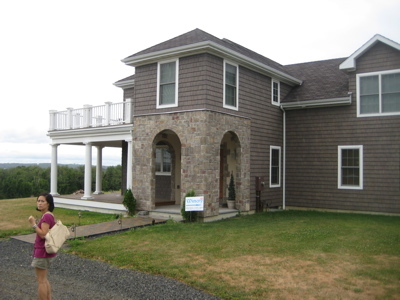 I would like permission to use the information and possibly some of the photographs from the Connecticut Museum Quest’s website, copyrighted in 2006. It would be a wonderful addition to our brochure. Imagine the delight of the audience when they arrive at the First Church to watch a performance about the lives of slaves and their owners, only to find in addition, that they are in a town that has connections to slavery as well. I believe information on Farmington’s Freedom Trail would encourage our audience members to tour the sites, bringing history to life, as we are attempting to do in our presentation of Day of Tears. If you can help me in any way, or have comments or suggestions that I may include in my piece, I would greatly appreciate hearing from you. My husband is a descendent of the Reverend Noah Porter and we visited these sites several years ago. It was especially moving to visit the church where he preached and where he invited Reverend Pennington to preach as well. It was a wonderful experience and this summer I’m coming to visit Farmington with our granddaughters. Noah’s most famous children were Samuel and Sarah–and son Noah– but another son, Giles, also a minister, moved from New England to Garnavillo, Iowa. His son Samuel, a lawyer, moved to Minnesota and that’s where my husband, John Porter Flaten, and our family now reside. Samuel Porter’s daughter Florence was my husband’s grandmother. In the Porter tradition, Florence was an educated woman, attending Carleton College in Northfield, Minnesota. Several years ago our granddaughter, Emma, gave a report to her first grade class about the Underground Railroad and our family connection to its history. To go with her report, she made a posture with photos from the Freedom Trail in Farmington. I once lived at 10 Mountain Rd back in 1969. The house was grey then, it’s white now and owned by the town. I came back once as a teen to see it! I would love to have a pic of it from the front. I can’t seem to locate it on google. Your farmington historical society link is wrong.